There is no doubt that industrialization and rapid technological development, have taken its toll on the oceans and the marine ecosystem. To mark this World Oceans Day, Google has partnered with leading global organizations working in the field of environmental protection to create a VR experience and a visual journey to draw our attention towards the collective damage inflicted on our oceans, as well as highlight the conservation work in this field. First up is ‘Ocean to Plate: A Journey into the Seafood Supply Chain‘, a VR documentary produced jointly by Google, World Wildlife Fund and Condition One for the Daydream Impact program. The film takes users on a journey of how the fishing industry works, right from catching the fish to the point it is served on a plate. The immersive documentary highlights the fact that around 35% of the seafood goes waste during the whole process, which is a huge waste of food resources that can otherwise feed millions, and also reduce the stress on marine wildlife population. You can see the VR documentary below, and can also experience the same on Google Earth. 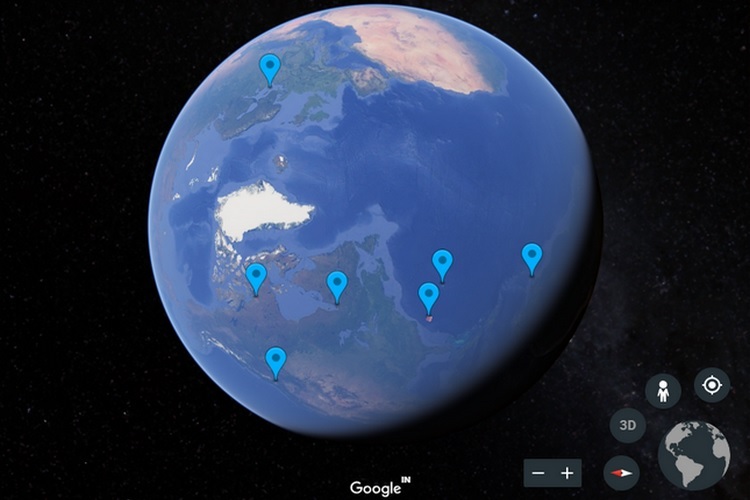 Google has also created an educational Google Earth experience in partnership with IUCN (International Union for Conservation of Nature) to help us understand the dynamics of Large Marine Ecosystems (LME) inhabited by humpback whales. Titled ‘Sustaining the world of humpback whales‘, the Google Earth experience tells us about the aspects of a humpback whale’s life cycle, feeding patterns, migration, safe havens as well as the threat to their existence in certain regions and the global initiatives which seek to protect them and their ecosystem. ‘Waterways from Space’ is another Google Earth project which consists of satellite imagery of Earth’s water bodies that appear to be an artistic masterpiece, and also remind us of the importance to protect these wonders at the same time. 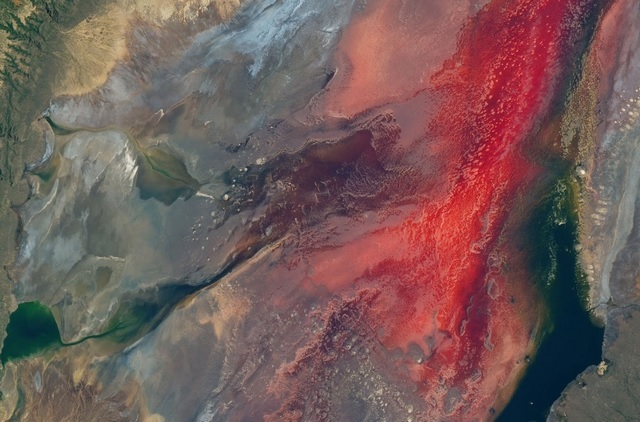 Captured by NASA’s Earth Observatory, you’ll come across visual gems like the tea-colored Rupert Bay in Canada, Tanzania’s Scarlet Lake Natron, Coral Cocos in the Indian Ocean and the waters of the Strait of Georgia turned green by phytoplanktons among other natural marvels.